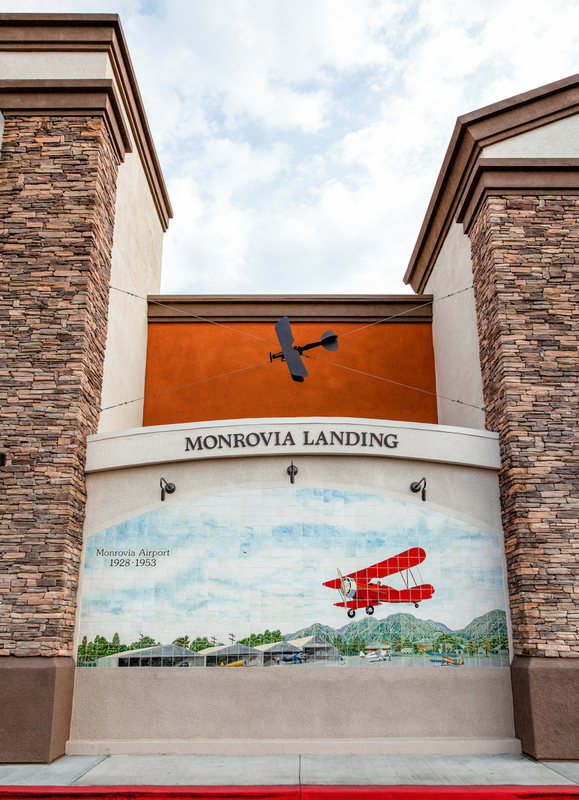 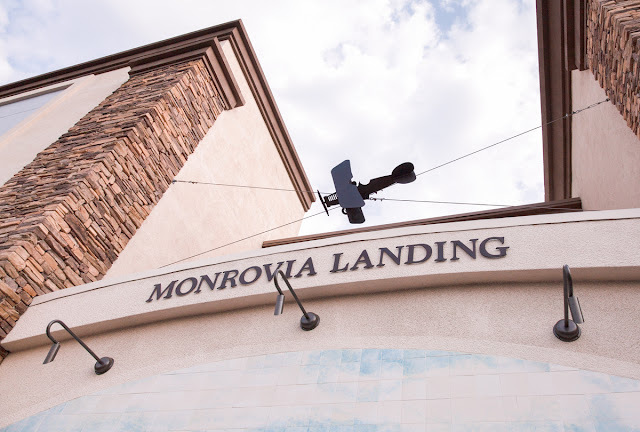 A second biplane has been installed just above the mural of the Monrovia Airport at the Monrovia Landing shopping center. 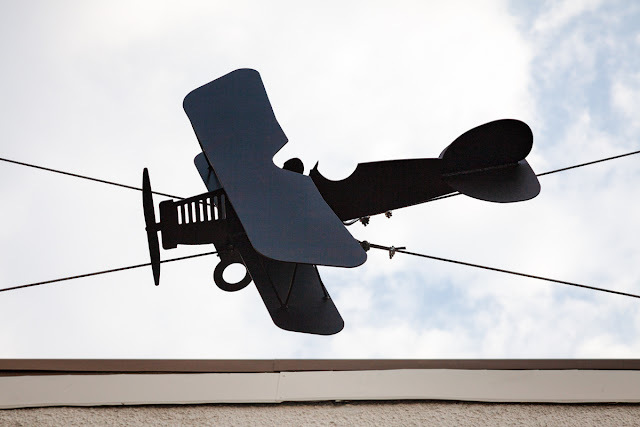 A closer look at the new plane, complete with a pilot. 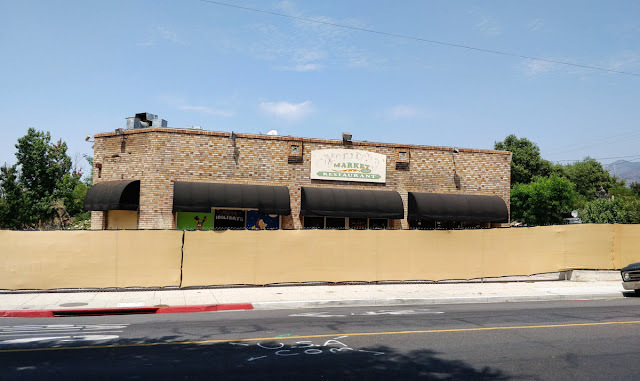 The mural and new plane are located between the Aldi's and HomeGoods stores.